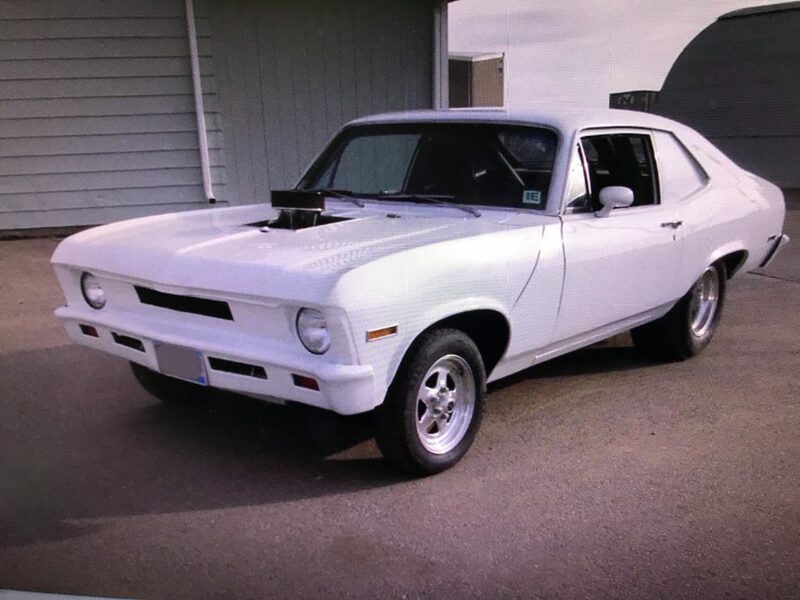 1972 Chevy Nova with a 385 ci small block, a turbo 400, and a 12 bolt posi with 4.88 gears. It was built in a pro street style/drag race look. The driveline doesn’t have much time on it and runs/drives like it was just put together. I have a very large tub overflowing with every single receipt of the build. It is rumored, and I say rumored because I haven’t found the dyno sheet, to have 500 Rear Wheel Horsepower (not at the crank). It is rumored, saying rumored for the same reason as earlier, to run low 10’s in the quarter. Is this streetable ? Definitely all the lights, gauges, horn, etc all work. Windows roll up and down, etc. It was built for going to local cruise nights etc. But would I let my wife get groceries with it, probably not. The body is all metal except for the front clip. It is fiberglass. 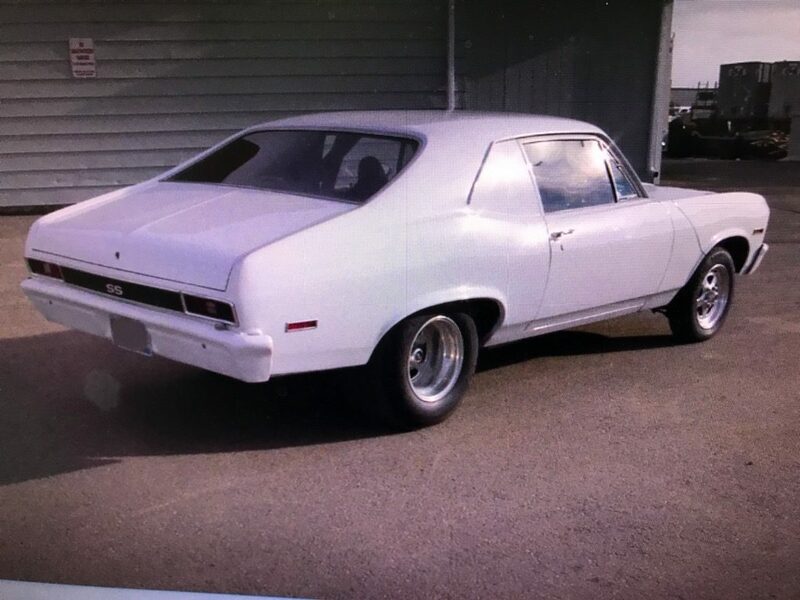 Nothing was modified to install the fiberglass front clip, so if you wanted it more stock, simply unbolt what is there and install stock stuff. The body is amazingly straight, there is not a ripple or door ding in it. The paint is truly show quality. Please look at the pictures and you will see what I mean. The interior speaks for itself, its nice, functional, and to the point. You could certainly leave it as is or fairly easily go back to stock. There was a aftermarket dash panel made and installed over the top of the stock dash. It was simply screwed over the top of the stock dash panel. So again if you wanted it more stock, just unscrew the aftermarket dash and bolt the stock one back in. The rollcage is very well built, but easily removed if you don’t want it. The racing seats are also easily unbolted and a stock front seat bolted back in if you wanted to. The windows in the doors still roll up and down, door locks work, none of that has been modified. A simple plug was made for the quarter windows, the stock track and everything is still there, so if you did not like the plug any body shop could pop them out very easily. The trunk, also speaks for itself, nice, clean and to the point.